More of the best snorkeling in Maui! 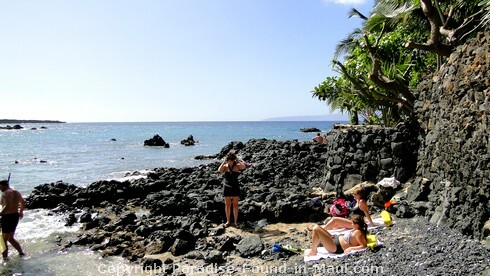 The Ahihi Kinau Natural Area Reserve's Ahihi Bay has some of the best snorkeling in Maui. There is a little cove here that's great for all levels of snorkelers, has loads of fish and even a nearby "turtle cleaning station!" 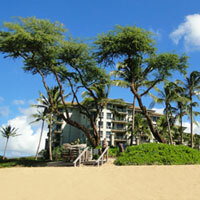 The proper name for the area is Waiala Cove, and you'll also hear it referred to as Ahihi Cove from time to time. 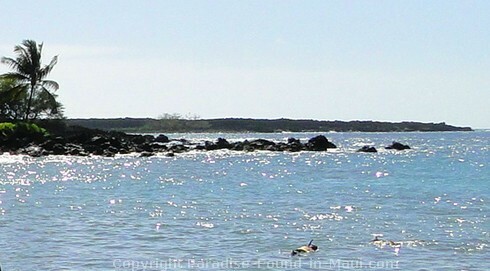 A bright, sunny day for snorkeling at Ahihi Kinau! If you drive about 100 yards into the reserve, you can't miss this sheltered little spot that will probably already have several people in the water! Most people find it pretty easy to get into the water, which is one factor making Ahihi Cove a nice spot for beginner snorkelers. There is also a small somewhat sandy area which is popular with any non-snorkelers in the group that just want to relax and sunbathe on shore. 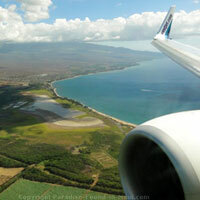 This entire area offers some of the best snorkeling in Maui - fishing is prohibited here, so the tropical fish just thrive! There is a turtle cleaning station near the south end of the cove, making turtle-sightings a real possibility too! 1. 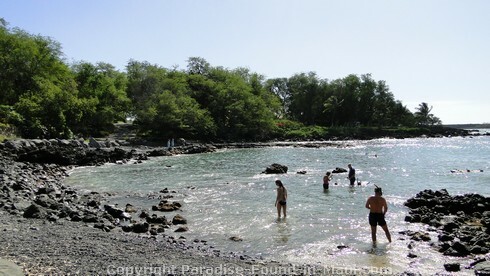 The best place to enter the water is at the north end of Ahihi Cove where there is a concrete pad going into the water - it's near the sandy area where people often lay out in the sand. Signs posted at the south end ask visitors to not enter the water there so that the coral and delicate marine life of Waiala Cove can be protected. 2. The best time to go snorkeling here is in the morning, before it gets too windy and the waves pick up. If the water is calm enough, some like to swim out further into Ahihi Bay to admire the coral and marine life that's further out. 3. Regular sunscreen damages coral and marine life, so if you must wear it, apply it at least 30 minutes before you enter the water. Better still, buy reef safe sunscreen - it's much safer for the coral than what we buy off drugstore shelves. Something else to consider that works great, and is WAY less hassle than using sunscreen head to toe: wear a UV protective swimming shirt (also known as a "Rashguard" because it protects from sunburn "rashes", among other things). Check out available styles and sizes HERE. Sure, you'll still have to apply sunscreen to some areas (back of your neck, legs), but it's not nearly as much as you would without the rashguard. I've been using one for years because throwing on a rashguard is SO much easier than having to do contortions to smear greasy sunscreen all over my back! If you'd like more info on why it's so important to protect the reefs from exposure to regular sunscreen, you can read more about it on the National Park Service's website. At the time we were here, there were no facilities in the immediate area. However, a short drive south through the reserve will take you to the large gravel parking lot for "The Dumps," an intermediate snorkeling site, where you'll find a few port-a-potties. There is not a lot of parking available here - there is room for 3-4 cars at most right across from the cove. If you want to snag one of those coveted spots, your best chance is to arrive bright and early in the morning. 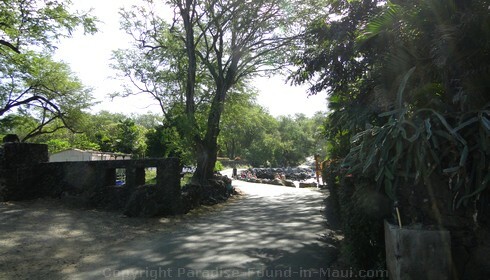 Another alternative is to keep driving south past the cove where there is room for several cars to parallel park adjacent to a long stone fence on the makai (ocean) side of the road. Worst case if all of those are full, there are about 7-8 parking spaces a short walk to the north. Drive south on Wailea Alanui Drive. It will change names to Makena Alanui Drive, and when you get to the end of that, it becomes Makena Road. 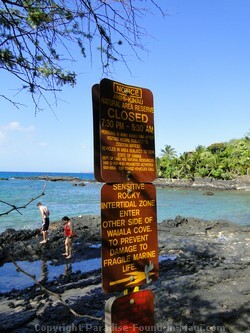 A little ways past Big Beach, you'll see signs for the Ahihi Kinau Marine Reserve. If you're not an experienced snorkeler, you don't do it very often, or you're not familiar with snorkeling here in Maui, you should look into available tours. Your guide knows the ocean well, and will use their knowledge and experience to make your experience stress-free and easy - so you can forget about dealing with the logistics of such a trip, and instead focus on enjoying all the sea life! Besides all that, being in a group is a lot of fun! 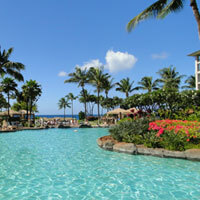 Trying to figure out which Maui beach is the best can be tricky. Make it simple with my guide to the best beaches in Maui: best coloured sand beaches, best family beaches, best snorkeling beaches, best beaches for boogie boarding and more!